There is “no way” carmakers can hit the EU’s proposed CO2 emission targets with fuel combustion engines, argues Erik Jonnaert, saying “at least half” of the reduction will have to come from electric and hybrid vehicles. Erik Jonnaert is the secretary general of the European Automobile Manufacturers’ Association (ACEA). He spoke to EURACTIV’s energy and environment editor Frédéric Simon on 17 January, before the latest emission scandal involving German car manufacturer Volkswagen. New test cycle means the existing CO2 target for 2020 is effectively 85gCO2/km, not 95g. This makes the 2030 proposal – -30% on the 2020 objective – harder to achieve. “At least half” of the reduction will have to come from electric or hybrid vehicles. Next to electric, there is “an opportunity for gas”. “Diesel will still be part of the mix”, first as a transition technology. 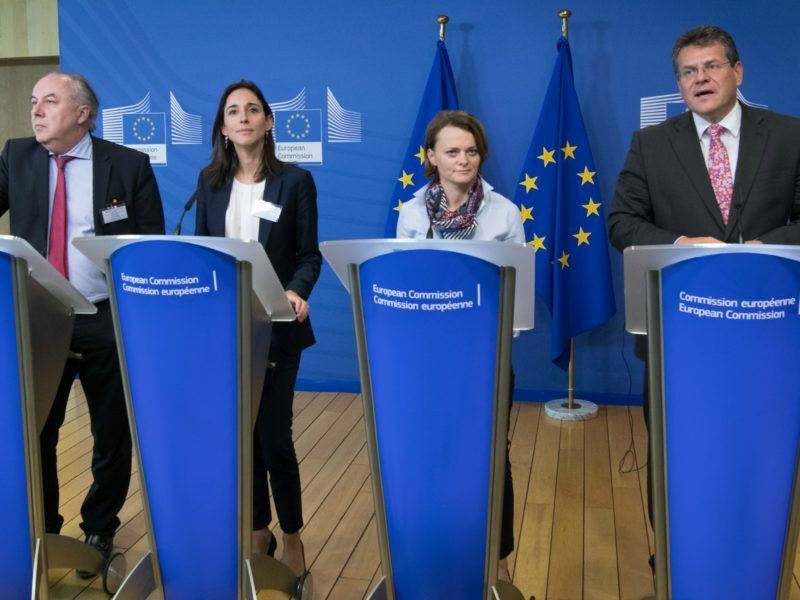 The European Commission tabled a proposal on CO2 emissions standards for cars last November. Under the plan, average emissions for new cars sold on the market by 2030 should be 30% lower than the existing target for 2021 of 95gCO2/km. Do you believe this target can be met, as the Commission argues? For us, it’s too aggressive. We’ve been very clear from the start, it’s important for us to come up with realistic figures, taking into account market realities. And that’s why we support a 20% target for 2030. So why 20%? It’s a figure that relates to an impact assessment that the Commission itself has made when it tabled its climate and energy package for 2030 a couple of years ago. And there were calculations made for sectors that are subject to emissions trading [energy and other large industries] and those that are not [agriculture, transport and buildings]. And there, the 20% was considered to be a realistic target in 2030 for the automotive sector. The figure also takes into account that the starting point from where the 20% will be calculated is actually going to be less than 95g/km. In the current regulation, the target for 2020 is set at 95gCO2/km, according to the testing method that was applicable then. But as from September 2017, a new test cycle entered into force which is more stringent. So in practice, this means the 95g CO2 target becomes 85. The calculation was made by an independent agency, JATO Dynamics, according to a formula developed by the Commission. Is this analysis accepted by the European Commission or not? Well, they know there is a difference but they tell us to deal with it. Officially, they will still say 95g is the target. 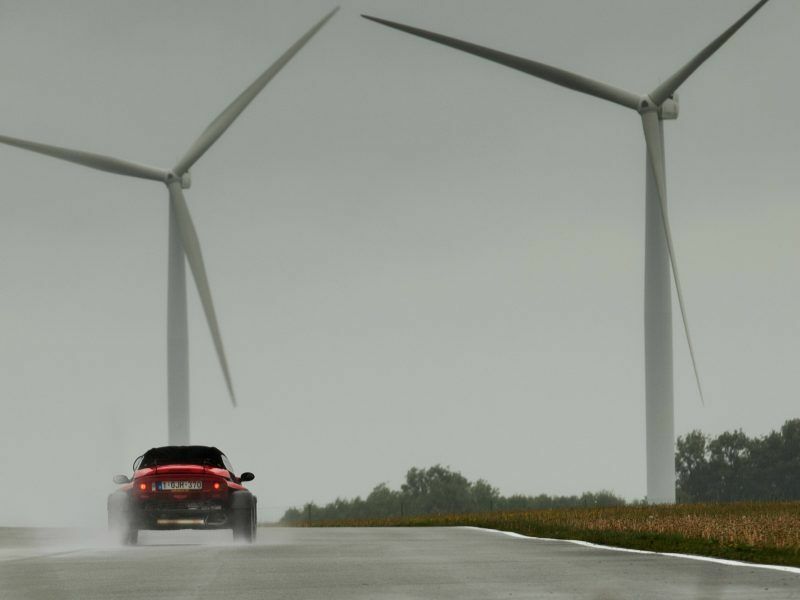 That’s why meeting the target in 2020 is going to be quite a challenge already, and some manufacturers are already expecting to pay penalties. But the Commission proposal also completely disregards where manufacturers will be in 2020. So even if you haven’t met the target, the starting point will be the same, assuming that you have met it. So taking all of this into account, our conclusion is that the 20% target that we advocate for 2030, in fact, more or less compares to the 30% proposed by the Commission. The centre-left Socialists and Democrats (S&D) faction in the European Parliament are gearing up for a fight over EU car emission standards for 2030, floating a 40% cut in CO2 and suggesting a radical change in the way emissions are measured in the first place. What technologies are currently available to meet the CO2 reduction objective for 2030? What share do you expect will come from things such as light-weighting or electrification, roughly speaking? At least half of the reduction will have to come from alternative powertrains, which includes electric, meaning battery electric, plug-in hybrids and fuel cells. Beyond 2020, we know that in order to do more, there is no way you can do it with fuel combustion engines. So we need those electric vehicles to come to the market. But what if people don’t buy them? We can’t push them down peoples’ throats. That’s why we urge policymakers to look at factors influencing the behaviour of consumers, the first of which is price. Currently, electric vehicles are sold at a premium because of the cost of the batteries. Battery costs are coming down fast, however. It’s going down, yes. On average, manufacturers estimate that between 2020 and 2022, prices will have come down enough for electric cars to be sold at par with conventional vehicles. Exactly. So then why have a review of the CO2 target already in 2025? We need to see first how the market evolves. Setting targets for 2025 now seems a bit too early. Is the 2022 price parity an industry consensus? This is based on individual assessments from car markers, looking at battery supply, production capacity for batteries worldwide, and how they expect the market to evolve. Cost is a major element but not the only one, though. Indeed, there is also recharging infrastructure and incentives, which exist everywhere in Europe – tax breaks, etc. The problem is that the schemes are different from one country to another, there is no coherence, it remains a national responsibility. And there is no European authority to deal with that and come up with a common European scheme. So we are encouraging the Commission to help with the consistency of national schemes. Let’s turn to recharging infrastructure now. 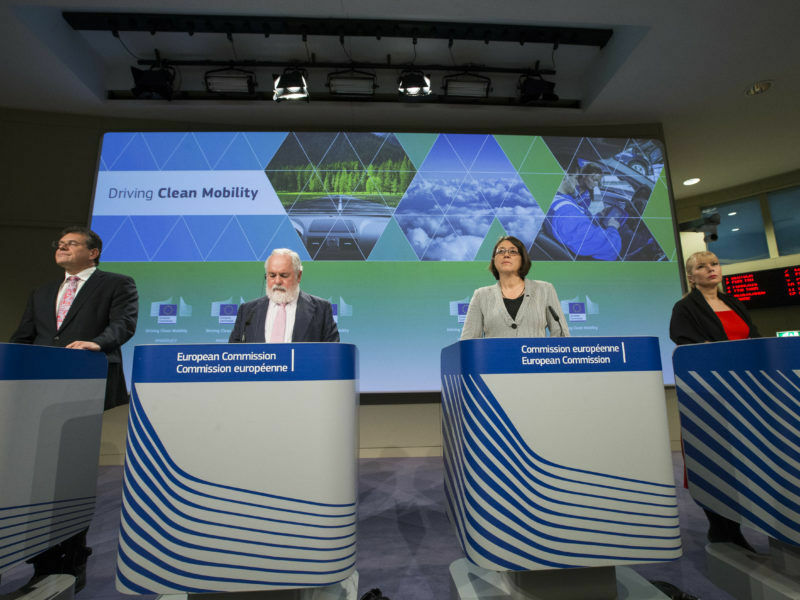 There is a plan that was presented by the Commission in November in its clean mobility package. But we need to see how we can link it together with national or local schemes. Not all countries are like Germany and the Netherlands where we see more and more recharging points. Those types of investments need to happen everywhere, which is currently not acknowledged. What we need is public investment in recharging points. Governments and cities have to take their responsibility. We cannot end up in a situation where we have recharging points in some markets but not others. The private sector is also contributing. Several Original Equipment Manufacturers (OEMs) have devised a plan over the next years to expand infrastructure. The Germans are in there, some suppliers are involved. And some fuel producers like Total are planning recharging points for electric vehicles at their pump stations. So it’s moving but it needs to be encouraged. Not so long ago, ACEA was arguing in favour of “a comprehensive approach” to CO2 reduction, saying all technologies were needed to get there. But the push for electric vehicles seems to have invalidated this. Has ACEA dropped its “technology neutral” stance? I don’t agree. Yes, we’re going into a new era where electro-mobility is becoming increasingly important. But frankly, the jury is still out whether it will be a success because the market hasn’t picked up. We know we need to do more in this area and we are moving towards a menu of options where electro-mobility is one of them. I know some people out there want 100% electrification but we don’t believe in that. We clearly need more of these vehicles on the market in order to meet the targets. But at the end of the day, it’s the customer who decides. So we stick to what we said before on the integrated approach: Electric is going to be among the solutions but it’s not going to be the only one. So we want to step away from this simplistic view. In this whole story, nobody is looking at a life-cycle approach or how the electricity is going to be generated. Nobody has a clear message on how batteries should be disposed of. And these are elements we are bringing to the debate today. 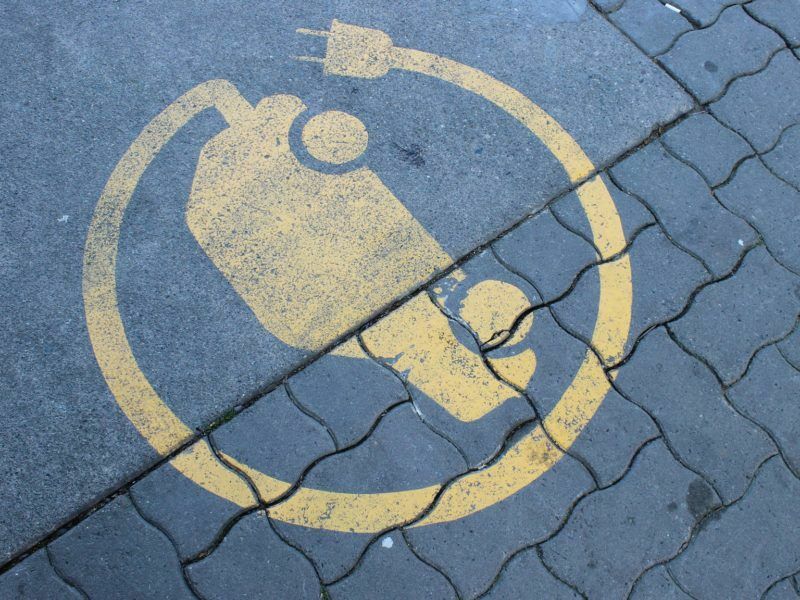 The European Commission’s latest proposal on car’s CO2 emissions for 2030 has started a fresh debate about whether Brussels has actually dropped its long-standing “technological neutrality” stance in favour of electric cars. So if electric is not the only solution, what are the other big ones that are needed to deliver on the decarbonisation objective? Next to electric, we think there is still an opportunity for gas. It doesn’t lead to the same results but it’s still a promising approach to reduce CO2, not just for heavy-duty vehicles but in general. And diesel will still be part of the mix, first as a transition technology, especially the cleanest engines complying with Euro 6d standards. 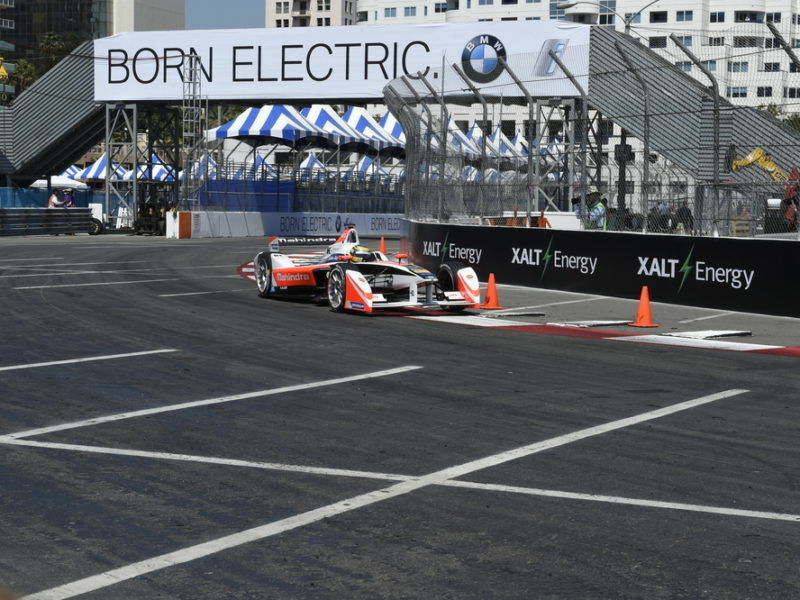 With new testing methods applicable since September, we hear that they are now close to zero-emission, like electric. But there is so much technology that needs to go into the car to clean things up that they are very costly. You have to keep in mind that diesel still has benefits when it comes to performance, especially for heavier vehicles like SUVs. Then, we shouldn’t forget hybrid, which is going to be a very important transition technology. A lot of hybrids currently have very small electric engines but this is evolving. And one could foresee a vehicle which allows you to drive on highways and switch it to electric once you are in the city. And of course, for trucks and long-haul, there is currently no credible alternative to the combustion engine, even though there are experiments on electrification in Sweden. But this is like fitting a tram line on a highway. For urban delivery trucks, electricity could become an option, however. Battery manufacturing in Europe is lagging behind other regions, especially Asia. What can European car manufacturers do to help drive the transition? I haven’t heard any concern from OEMs about battery manufacturing. Yes, they can buy it from outside Europe where the big producers are. There is a lot of capacity and because of that prices are going down. In Europe, we would not be served by batteries which are produced at a higher cost and makes electric vehicles less attractive. On the production of battery cells, yes. But that needs to be distinguished from the production of battery packs, which takes place in Europe. In fact, most of the OEMs import the battery cells and pack them themselves so that they fit into the vehicle. Having said that, battery production is going to be increasingly important and we agree with the European Commission on that. It represents about a third of the value of an electric vehicle, the Commission says. Yes, and that’s why we always made a point to focus in Europe on next-generation battery technology, not the existing technology. So what is a next-generation battery? Well, it’s not there yet. There are lots of companies outside the automotive business who are interested to step into this business. The Commission’s Battery Alliance initiative is primarily driven by that side of the industry which sees it as a potential for their business to grow. That attention is welcome, whatever we can do to grow this, the better. If you had to do a checklist of requirements for next-generation batteries, what would it include? I’m not an engineer. But key criteria include performance, how far you can drive on a full charge, the weight, and how compact the battery is. If you look at Tesla cars now, the entire floor is a battery. There are also safety issues and the guarantees you get. So it’s all about increasing performance and doing it in an innovative way. How confident are you that Europe will stay in that game? I strongly believe Europe won’t stay behind. There are start-up companies getting involved and the industry has always been able to reinvent itself. The European Commission hosted auto, chemical and engineering executives in Brussels yesterday (11 October) to develop battery manufacturing in the EU to compete with Asian and US manufacturers. India has made a bold statement that it will start selling only electric cars as of 2030. China has also introduced production quotas starting in 2019, saying they should make up at least 10% of each automaker’s output and up to 12% by 2020. But the approach here in Europe is more conservative. Is there a risk that European manufacturers start lagging behind? These markets start from a lower base. Look at the traffic in Delhi or Beijing and the air quality there. Now, compare this with Brussels. There is a hell of a difference. They have been talking about this already for eight years in India and China, without any progress. Now, they get in a situation where people don’t accept it anymore. And in order to keep going, they need to make a change. These types of goals are going to make a difference, they will force the market to move. Whether they are realistic is different. In India, how many places have access to electricity? And now, they are going to make electric cars only? Let’s be honest. Sure, in the big cities, there is definitely an opportunity. But with the mass of people in cities, how do you ensure that a small business owner with an old-fashioned polluting truck stops using it and buys an expensive electric vehicle. I don’t know how you do that! So these stretch goals are useful to turn things around, provided they are set in a realistic way. India is hoping to become the first big world power where all cars on its roads are electric, as part of its efforts to combat severe atmospheric pollution. 1.8 million deaths are caused by it every year on the subcontinent. EURACTIV’s partner Italia Oggi reports. Urban mobility is clearly one of the biggest challenges and an opportunity for our industry. In the past, manufacturers were coming up with vehicles that were meant to be used in all conditions. In the future, it won’t necessarily be the case anymore so we will have to come up with different mobility solutions for different needs. As cities get more populated, get denser, we won’t be able to move anymore. So we need to come up with new mobility solutions, like car sharing, or ensuring private cars are connected with public transport so people can move from one transport mode to the other. Connectivity and intelligent transport systems will allow traffic managers in cities to manage the flow of traffic more effectively. On top of that, with the discussion air quality, cities are increasingly imposing traffic restrictions, which are a big concern for us. In some cities, you need to put a sticker on your window, in others it’s something else – there is no consistency, it’s chaos. That’s why we started a dialogue in December between ACEA and Polis, the European network of cities and regions, where we look at the issues and try to move things forward. Have carmakers thought out plans for new mobility solutions in cities? Or is this still somehow futuristic? More and more OEMs have specific departments focusing on mobility solutions. And almost all OEMs have now introduced car sharing schemes – alone or in partnership with others. It’s also a way of creating brand familiarity. Young people who use car-sharing services form a particular brand may really like that brand and then consider buying one. So yes, they will sell less but these cars are also being used more intensively than privately owned cars. They are replaced more often. The market is close to saturation so you need to find new solutions. Technologies are being tested out and deployed in cities. So it’s coming. And that requires the industry to re-invent itself, coming up with new approaches, new solutions. “A tale of two realities” by Mike Parr. Once upon a time children, in the 1990s, the EU recognised that transport emissions were climbing because German car companies were making bigger and more powerful cars as well as convincing people they needed 4x4s. And thus it came to pass that the ACEA said to the EU “ok we promise, cross our hearts and hope to die” that we will reduce emissions from new cars. What the EC did not know was that the ACEA whilst making the promise, had crossed its fingers on one hand while making the promise – & we all know what that means – don’t we children? Roll forward to 2008 and the 2020/20/20/20 saga. The EC recognising it had been duped by ACEA tried to do a couple of things: rebalance taxation petrol vs diesel and bring out a regulation on CO2 emissions from cars. 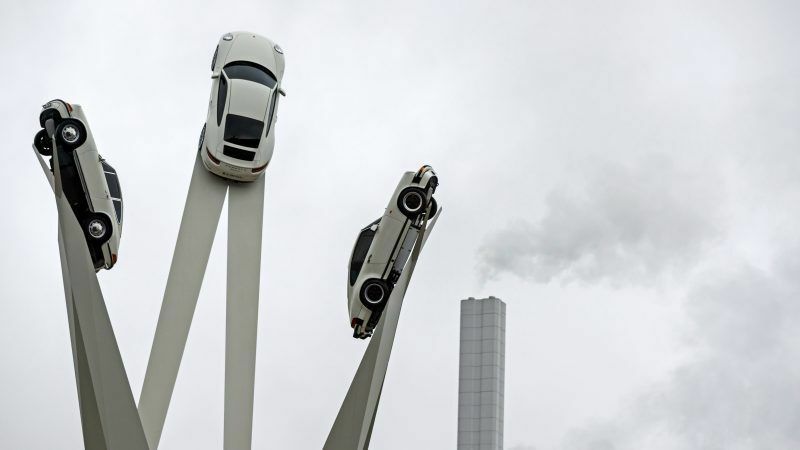 The ACEA and the German OEMs responded with shock & horror – “gosh we can never meet these targets” (one of the ACEAs favourite phrases – indeed it comes as a “factory default stting). As we all know, the 1st Cars & CO2 regulation was massaged to death by a combo of the ACEA & Mutti Merkel. Ditto the 2nd Cars and Co2 regulation in which identical phases were used (suggestion to ACEA – give the needle a nudge boys – the tune is getting boring). & there was a great wailing & gnashing of teeth amongst the VWites, BMWites, Mercites and other ites too numerous to mention. They marched on the EC & told the nice Mr Drunker that things would go very badly if the big bad wolf had his way. Mr Drunker and the ECites made sympathetic noises – but what could they do? They had their own problems with the 2030 package (& the Vicegrad hooligans) – which was going tick-tock, tick-tock – tell me children, apart from clocks – what goes tick-tock? – that’s right Henry – a bomb. Moving back to the alternate reality that the nice Mr Jonnaert inhabits everything is always a problem. Oh dear current EU plans (just like all the previous ones) are ……..- can you guess children?…..yes that’s right “too aggressive”. You see children Mr Jonnaert has been very clear right from the start – his “realistic figures” and his “market realities” are the ones that count – not ours or yours. & don’t forget, whilst breathing in the air polluted by Mr Jonnaert’s members you will suffer brain damage, lung damage, pick an organ damage…….but that’s OK cos otherwise Mr Jonnaert & his members will go boohoo & we can’t have that……can we children. Realities: the reality that counts for the ACEA and its members are the ones you see on adverts selling shiny new cars – the open road, no traffic, sitting next to a handsome chap or attractive smiling (always young) woman. Please remember this children when the other reality of choking traffic filled roads intrudes – when it does, take the blue pill – pretend it’s all OK & you are on the open road etc etc.